Partnership for a Healthy Lincoln wants every school child to have the best foundation for a successful life. We began working with the Lincoln Public Schools in 2010, focusing on increasing fitness levels and decreasing obesity rates to help children live longer, healthier lives, and do better academically. Aerobic fitness has been shown to strongly correlate with performance on standardized academic tests, as well as having extensive health benefits for students. In fact, physical fitness has a strong correlation to long-term health and may be more important for health than weight itself. With Lincoln Public Schools, we test and track the fitness of children in Lincoln. In the 2010-2011 school year, 71% of 4-8th grade students could pass the aerobic fitness test. Our goal by 2020 is to have 85% of students passing this test. The LPS Wellness Program in tandem with our community partnership of non-profits have worked together to accomplish a steady rise in fitness levels each year, with 77.4% of 4-8th grade students now passing the aerobic fitness test at the end of the 2014-2015 school year . In the 1970’s around 5% of children were clinically obese. By 2010, that number had increased to 18.2%. With this increase in childhood obesity rates, we have seen a marked increase in obesity related chronic diseases, like diabetes, in our nation's children In Lincoln, we found that 17.2% of our children grades kindergarten through 8th were obese during the 2010-2011 school year. 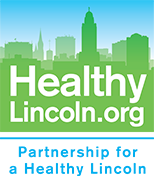 In an effort to improve the health of the nation’s children, the national Healthy People 2020 inititative set a goal of 10% reduction in obesity prevalence by 2020. in Lincoln, we set our first goal to get Lincoln’s school aged children to down to 15% obesity rates by the end of the 2015-2016 school year. With our steady increase in fitness levels, we have also seen a decrease in obesity rates from 17.2% in the 2010-2011 school year to 15.4% at the end of the 2014-2015 school year. The Nebraska Whole Child Project is an effort led by the Nebraska Association of School Boards in collaboration with Partnership for a Healthy Lincoln to bring together accurately collected health and wellness data. When the project is launched, this data will provide school boards with the information they need to establish a culture of wellness that supports student success.